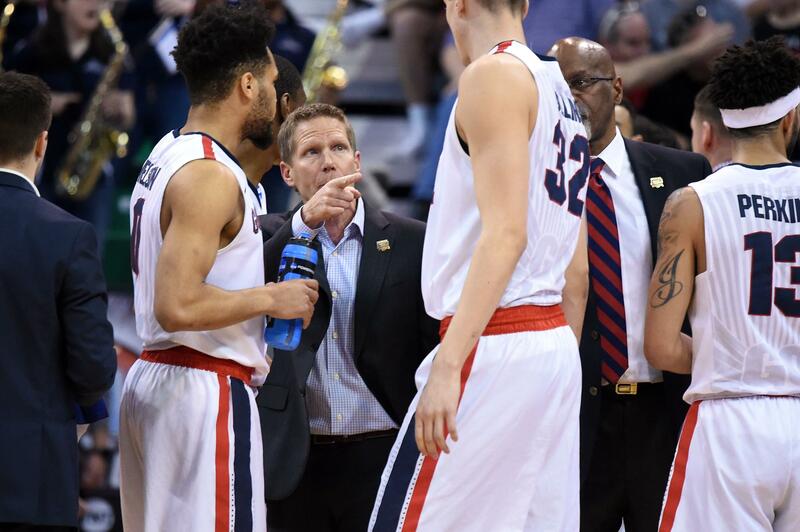 UPDATED: Sat., March 18, 2017, 5:06 p.m.
SALT LAKE CITY – Gonzaga coach Mark Few reached a milestone after the Zags’ 79-73 victory over Northwestern in the second round Saturday of the NCAA tournament. The win was Few’s 500th in his 18 seasons as head coach. Few became the third fastest coach to reach 500 behind only Adolph Rupp and Jerry Tarkanian. Few’s record is 500-112 and has guided GU to 18 consecutive NCAA tournament appearances. Published: March 18, 2017, 5:01 p.m. Updated: March 18, 2017, 5:06 p.m.